Chester County DUI Blood & Breath (Breathalyzer) Test Lawyer | DUI Defense | The Law Offices of Michelle A Fioravanti, P.C. If you have been stopped by the police for a DUI , you most likely were asked to submit to a chemical test of breath or blood. The purpose of asking for a sample of your blood or breath during a DUI arrest is to determine your blood alcohol content (BAC). The chemical test must be taken within 2 hours of driving. If you choose to take the blood or breath test, and are convicted of DUI, then you have to pay for the test the police asked you to take. Once you take the chemical test requested by the police, however, you can have additional chemical tests taken by the medical professional of your choice. All these tests can be used in court, either in your favor or against you. Call the Law Offices of Michelle A. Fioravanti at 484-876-1543 or contact us to discuss if the police followed the proper procedures for your DUI chemical test. The police may have attempted to determine your DUI blood alcohol content (BAC) by asking you to breathe into a breathalyzer or intoxilizer machine. The breath machines only test for alcohol, not drugs. But before this evidence can be used in court against you, the police must have followed PennDOT’s rules and regulations. Some of the more important PennDOT regulations for DUI breath tests require: 1- that the breath machine was regularly calibrated and tested for accuracy, 2- that the police officer giving you the test was properly trained and certified to administer a breath test on that type of machine; 3- that there was a 20 minute observation period prior to the time you took the test; 4- that 2 breath samples were taken within a set period of time; and 5- that the 2 breath samples were within the very narrow margin of 0.02 percent of each other. If the police did not comply with the PennDOT regulations above, an experienced and aggressive lawyer like Michelle A. Fioravanti will file a motion to suppress your DUI chemical test of breath, which means the prosecutor cannot present the frequently harmful chemical test results as evidence at trial. The inability of the prosecutor to introduce this key piece of evidence frequently results in a verdict of not guilty. Call the Law Offices of Michelle A. Fioravanti at 484-876-1543 or contact us to discuss if the police followed the proper procedures for your DUI breath test. If the police asked you to give a chemical test of blood, it was either because the police did not have a breath machine, did not have a properly operating breath machine, or suspected you were under the influence of drugs. Only a chemical test of blood can determine the presence of illegal drugs like cocaine, marijuana and PCP, and it can also check for prescription drugs such as Ambien and Xanax. Pennsylvania law requires that only health care workers to withdraw blood samples from people arrested for DUI. Pennsylvania law also requires that blood tests be performed at licensed and approved clinical laboratories using approved testing methods and equipment. If you were arrested for DUI under the suspicion of consumption of alcohol, and agreed to a blood test, it is important to the carefully examine the results to see if there is a margin of error that includes the possibility of a BAC in a lower tier DUI or below 0.08 percent altogether. Experienced and aggressive lawyer Michelle A. Fioravanti will carefully examine your blood results, and will consult with an expert toxicologist to see if your DUI charges can be reduced using the margin of error analysis. The only way to know if the police properly administered the breath or blood test is to make an appointment with an experienced Pennsylvania DUI lawyer. Call the Law Offices of Michelle A. Fioravanti at 484-876-1543 or contact us for a free initial consultation to learn more about your chemical test. As your Pennsylvania DUI criminal defense lawyer, I will provide experienced and aggressive representation you can trust. 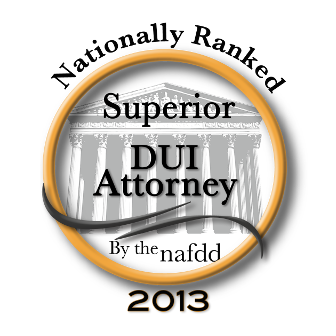 Your DUI case is important, and it will receive the personal attention it deserves.